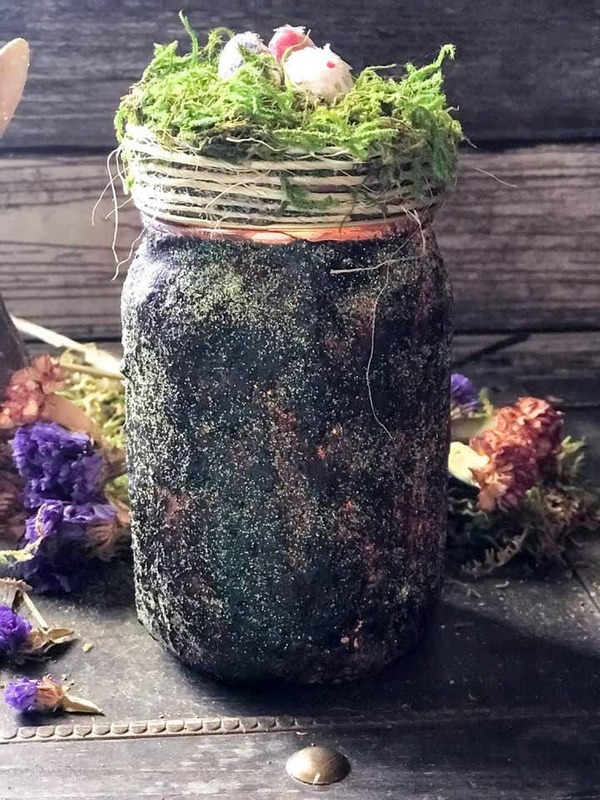 I handcraft each of these jars to order. 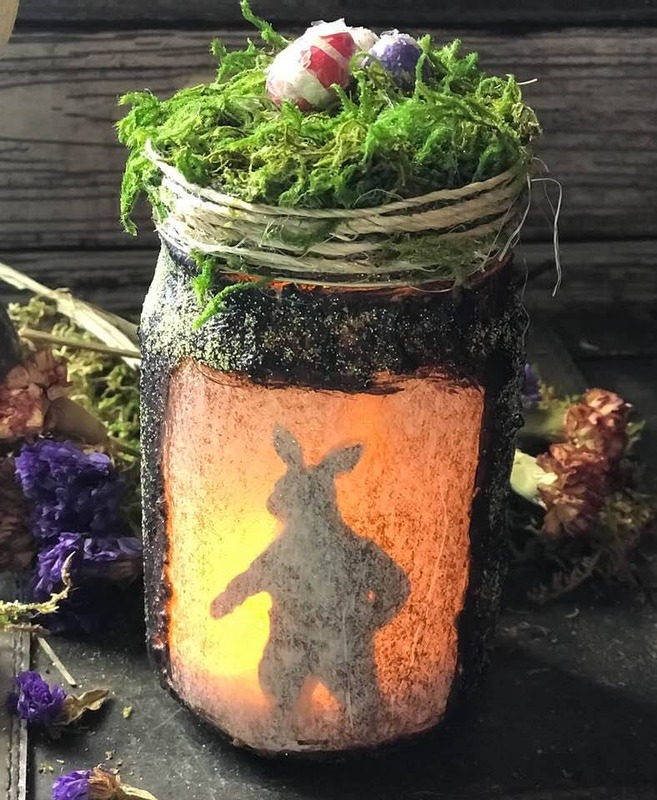 You'll love this unique, primitive spring hare jar for your decorations. 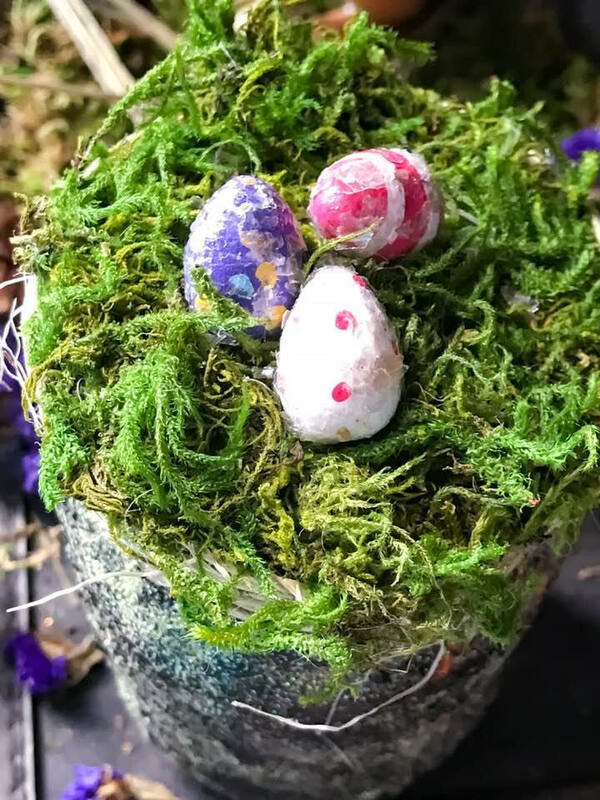 They each have 3 spun cotton eggs that I paint and cover with mica flakes. I can paint the eggs like the picture or can paint to your preference of color. 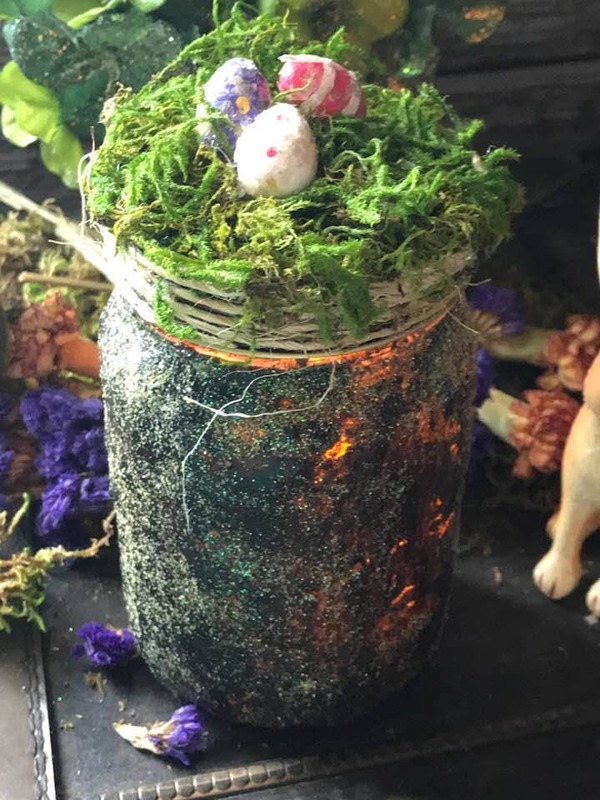 They have a primitive coating on the outside of the jar, the primitive coating is given a light coating of butter yellow glitter. The lid has lots of moss and sisal. 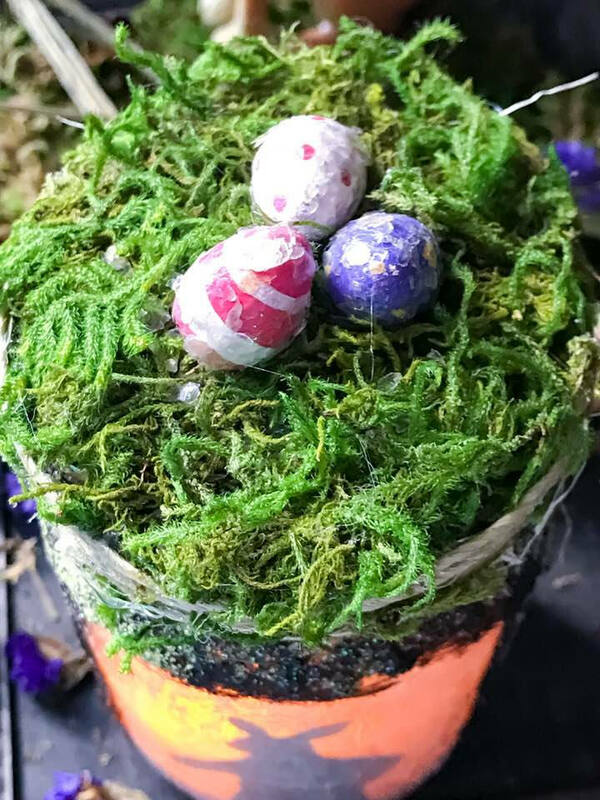 The eggs sit atop the moss. 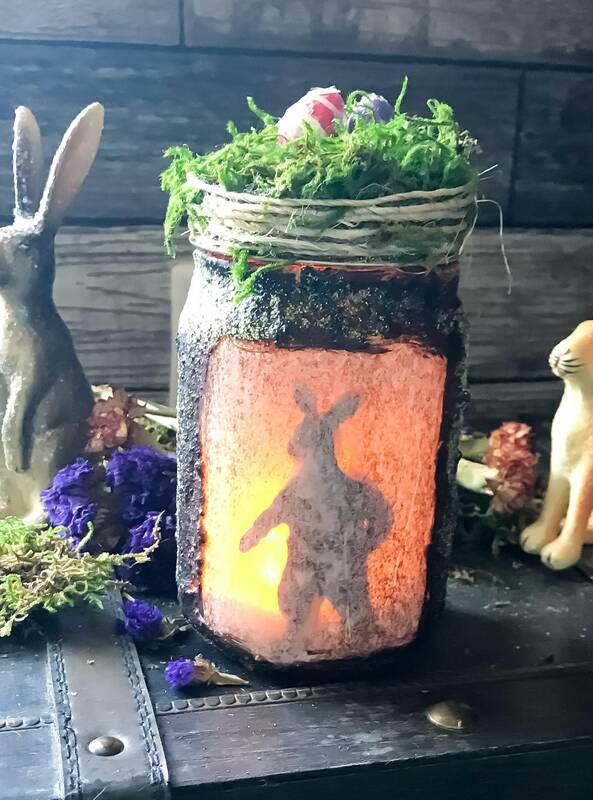 A silhouette of the bunny is lit by the light on the inside. 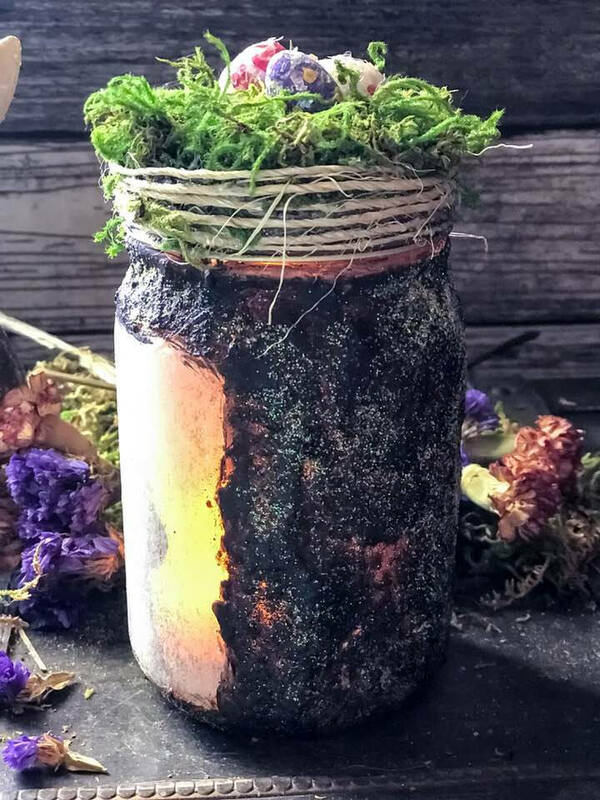 Each jar has an LED flickering tea light. 16 oz jar. These are not to be used with real candles.